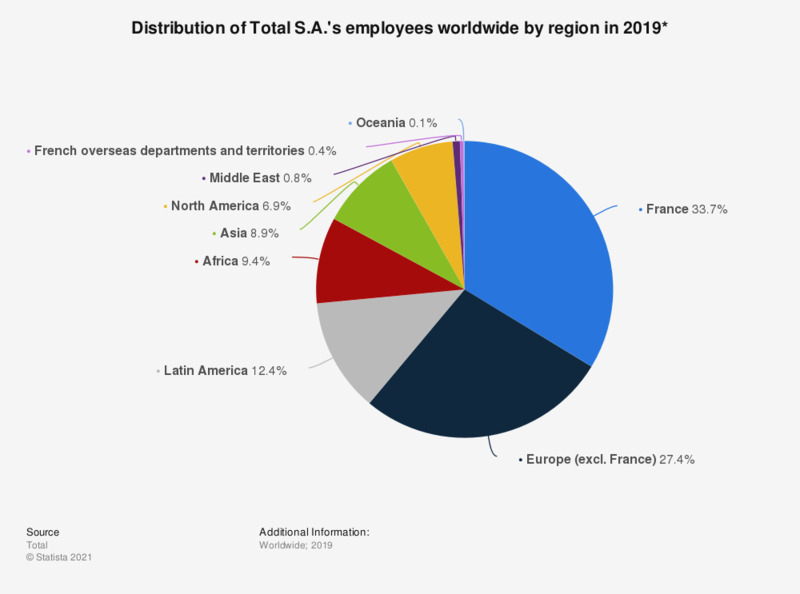 This statistic shows the breakdown of employees working for Total S.A. in 2017, by region. In that year, 26.1 percent of Total S.A.'s employees were based in Europe, excluding France. Total S.A. is one of the world's largest oil and gas companies. The French company, headquartered in Paris-Courbevoie, specializes on the entire oil and gas chain, as well as chemical manufacturing. *As of December 31st, 2017.